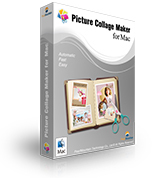 Download Picture Collage Maker for Windows Now! This is a very nice and useful photo collage generator. 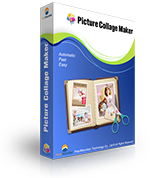 Remove watermark on the collage and say goodbye to the annoying splash screen! We have volume discounts. Please contact us for the discounted pricing. Q: Is it safe to order online? A: Mycommerce (who is the e-commerce partner for PearlMountain) has an order process that is protected via a secure connection so that the data sent to the recipient can only be read by the recipient. Important information such as credit card numbers, addresses, etc. is sent to the recipient securely via the Internet. Q: How to purchase your product and how long will I receive the license code after I complete the purchase? A: Click "Buy Now" or "Order" button and finish your order - Normally you will receive the license code by Email immediately after your successful purchase. Note: Please provide valid Email address when you fill the order form. Please keep registration information of the software you received well for further use. Q: How to register my software? A: After you purchase the software successfully, you will receive registration information via Email within one business day. 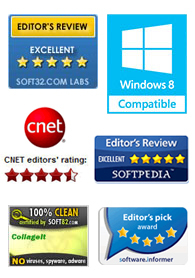 Download the software you bought from our site and run it. In Register dialog, enter your license code in the corresponding box and click 'Register' button to finish the registration. Note: since the license code is letter-sensitive, please COPY and PASTE the code. And don't add any blank before or after it. Q: Which license type is right for me? A: We've several license type for different users, such as Single-User Personal License, Single-User Commercial License, Site License, etc. With Commercial License, you (individual) can use the software in a business, academic, or government environment. You can only use the program on exactly one computer per license. The license permits you to install the program on the specific numbers of PCs entirely within your family, organizations and corporation within one particular specified location (e.g. office). You may not give, transfer or sell multi-user-licensed copies of PearlMountain software, nor include such copies in, or with products you sell or deliver to any third party.